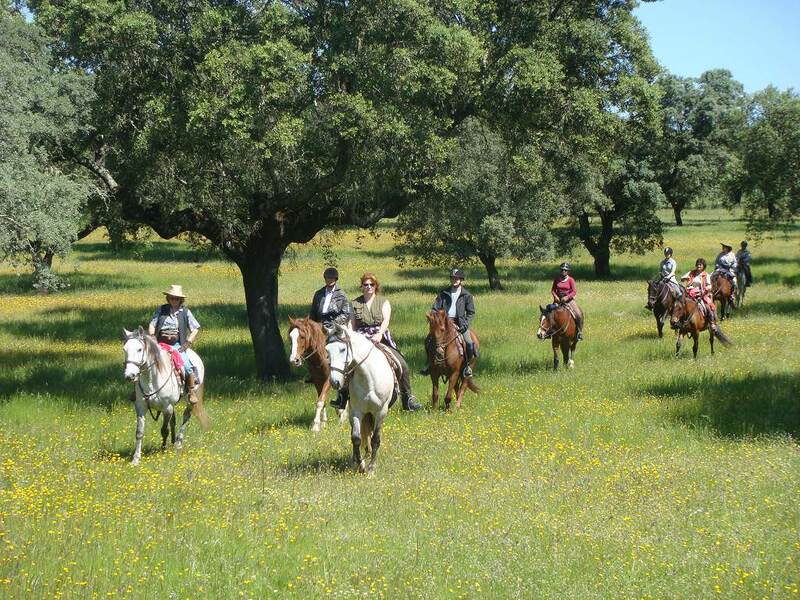 Ride well schooled Lusitano horses on this trail ride through the interior of the Alentejo region of Portugal. 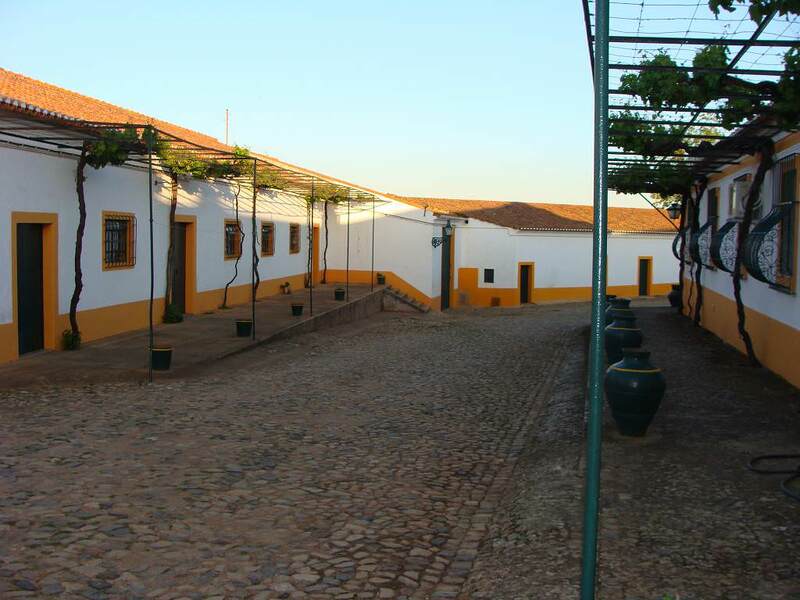 The Alentejo is the hottest, driest region of inland Portugal. 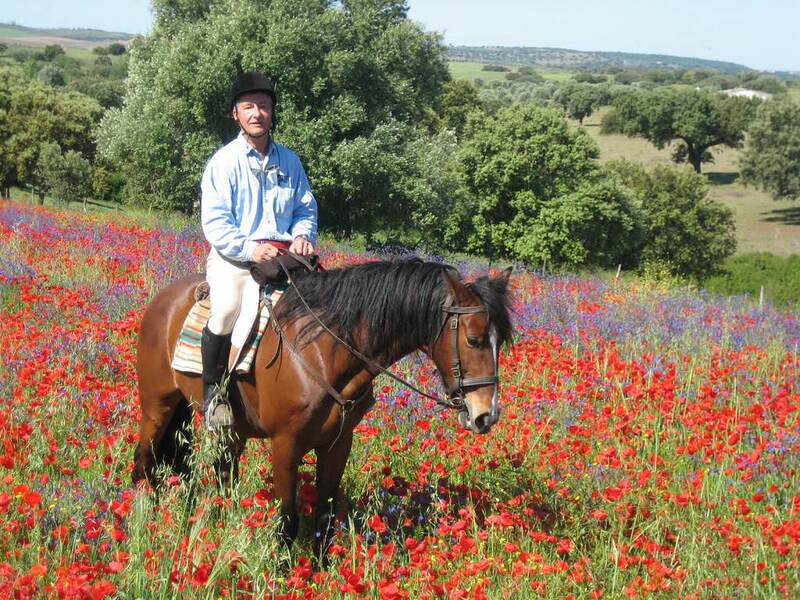 Without the rivers and streams that exist within this province, it would be a desert. 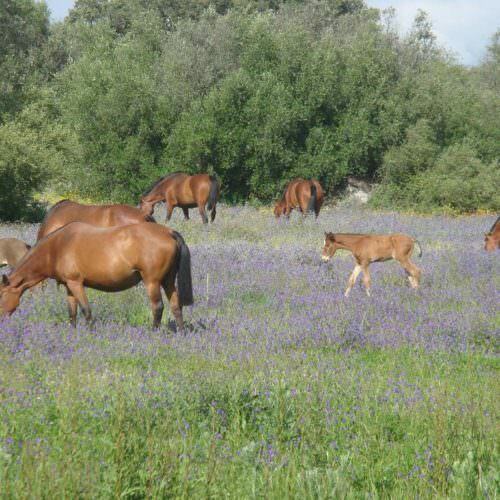 Hot in summer, lush in spring and enduring subzero temperatures in winter, it is one of the least polluted areas in Europe. 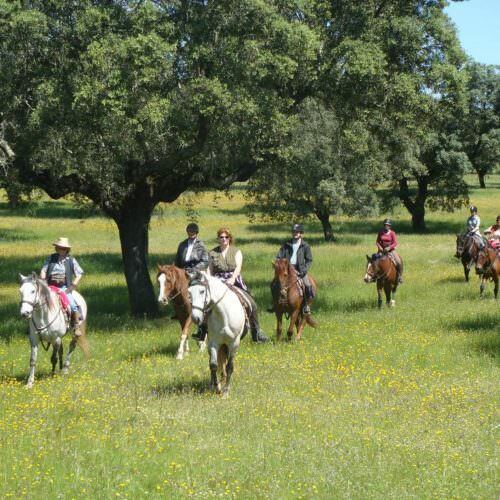 The Alentejo is a very important region for horse breeding and this trail includes a visit to one of the famous Alter-Real studs to see the mares and foals. 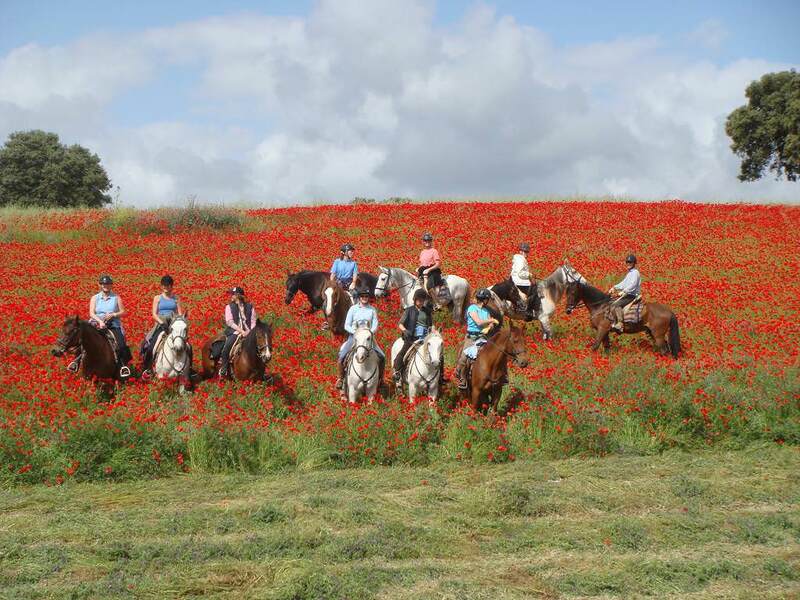 You ride over a variety of terrain; through cork-oak plantations, wheat-fields, vineyards and groves of olive trees; through eucalyptus and pine forests; through meadows full of spring flowers. 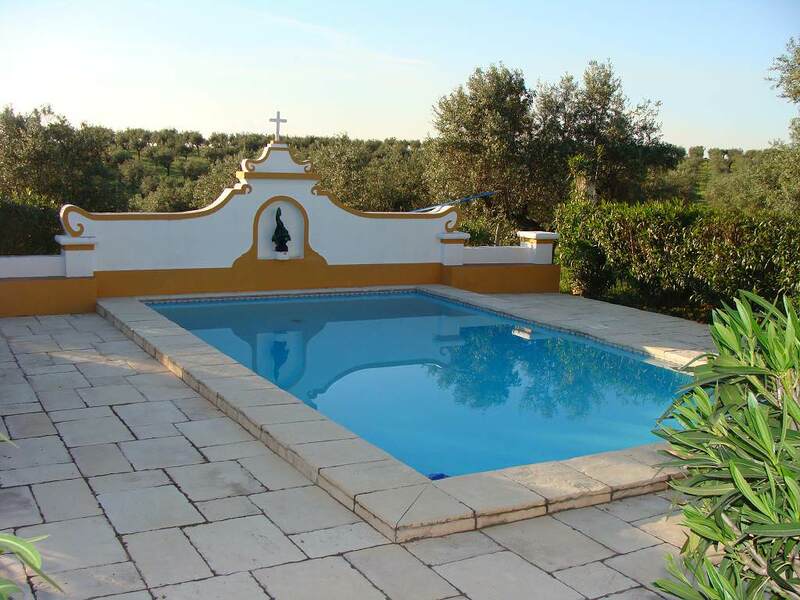 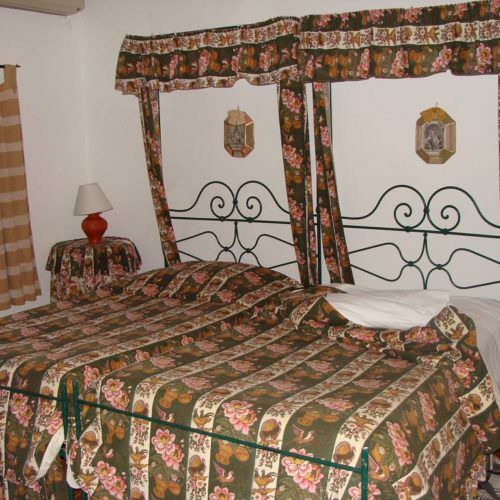 Accommodation on the trail is at local guesthouses and hotels, some with swimming pools. 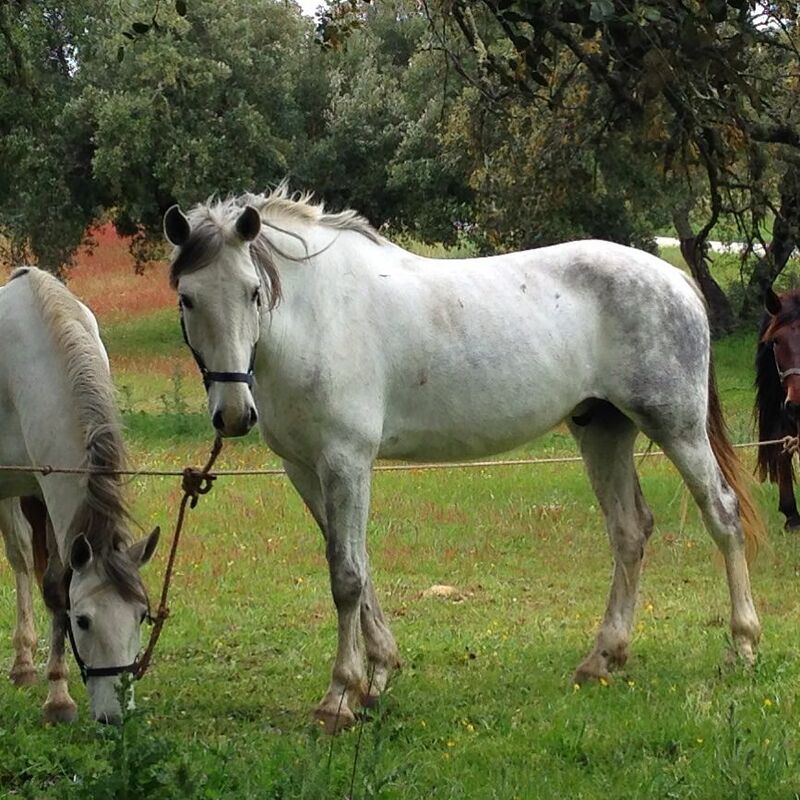 Your horses are Lusitanos. 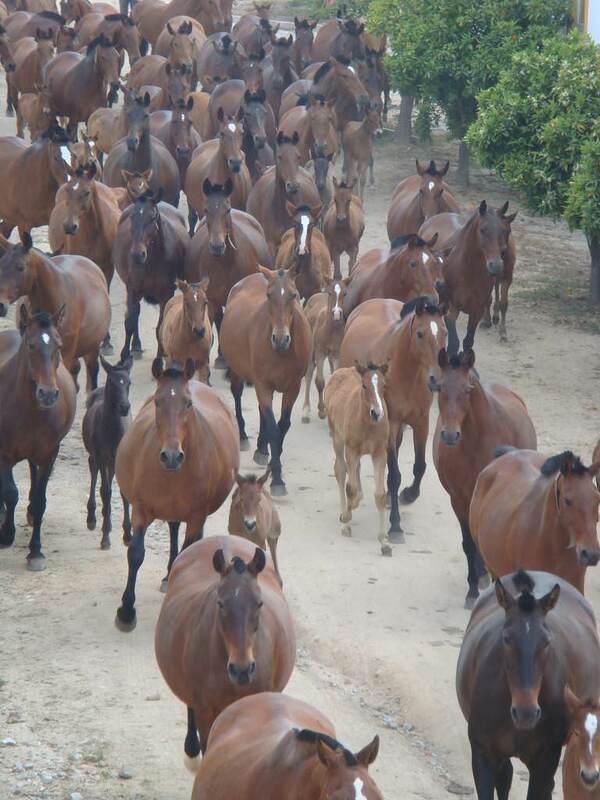 They are well schooled and comfortable to ride with an enthusiastic walk and easy collected canter. 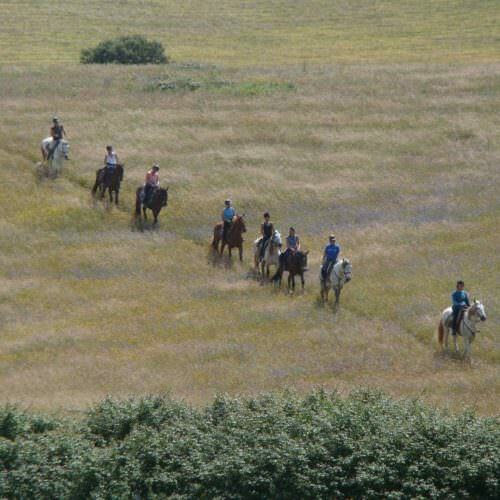 You should be a confident rider at walk, trot and canter. 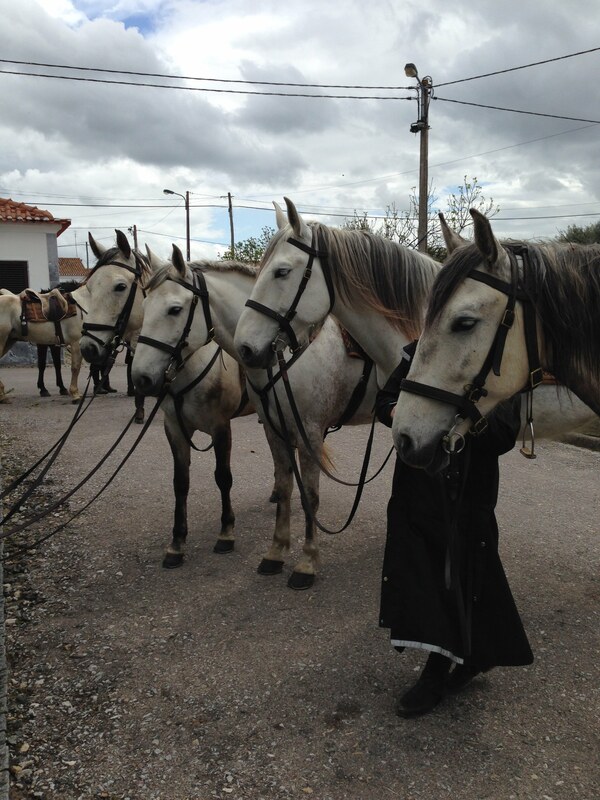 It is important to be fit enough for the long canters in the heat of the Portuguese sunshine. 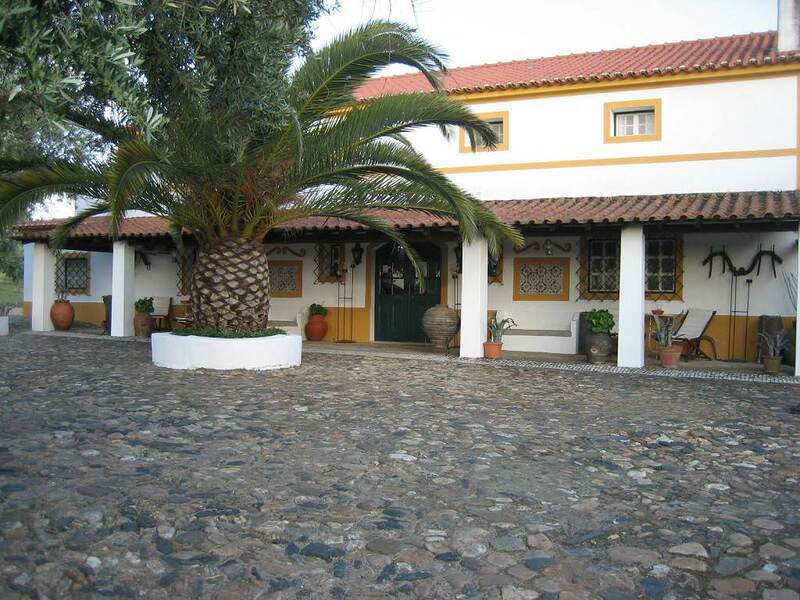 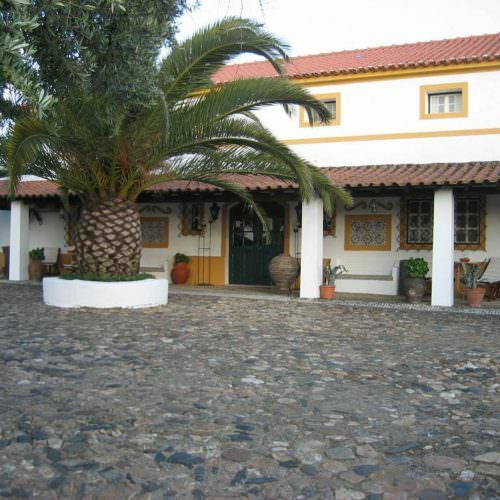 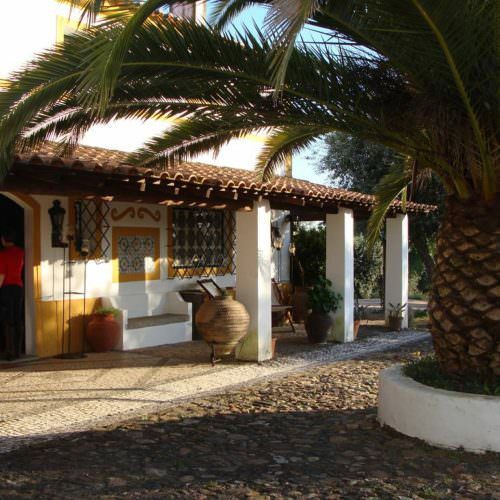 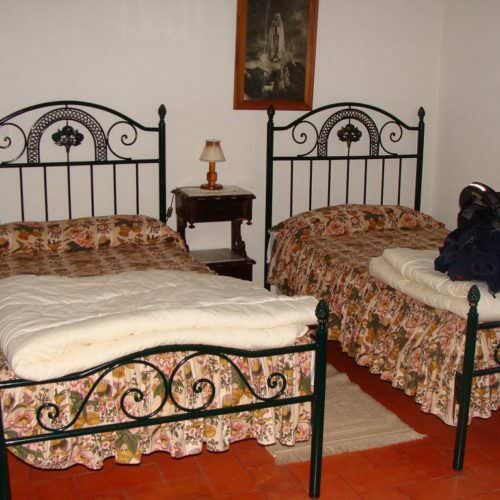 The accommodation varies from renovated former farm houses to the modern hotel Caminhos de Santiago. 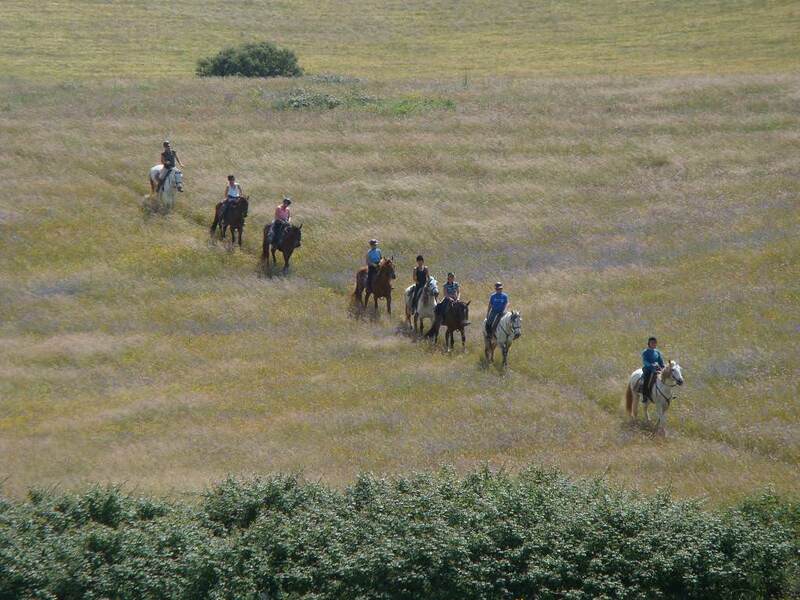 Almost all have swimming pools to enjoy a cooling swim after a day in the saddle. 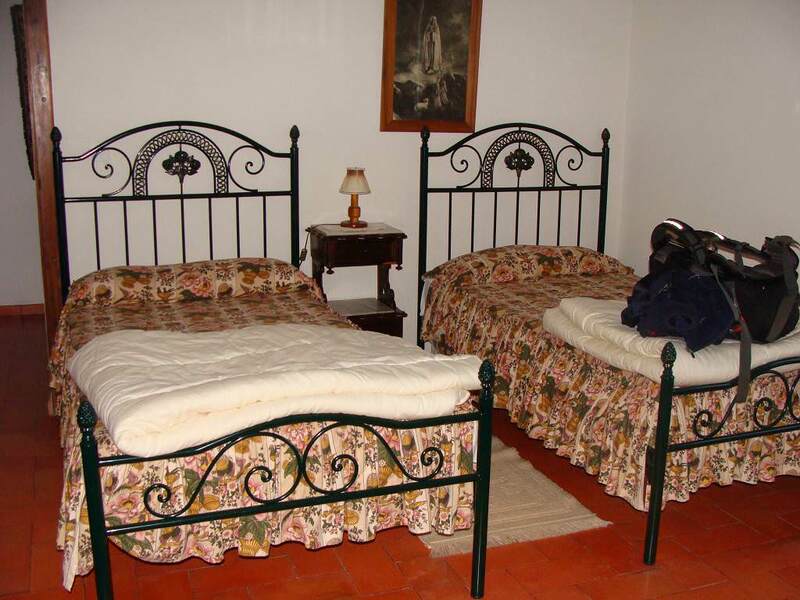 The rooms all have private shower / toilet, and some have a bath. 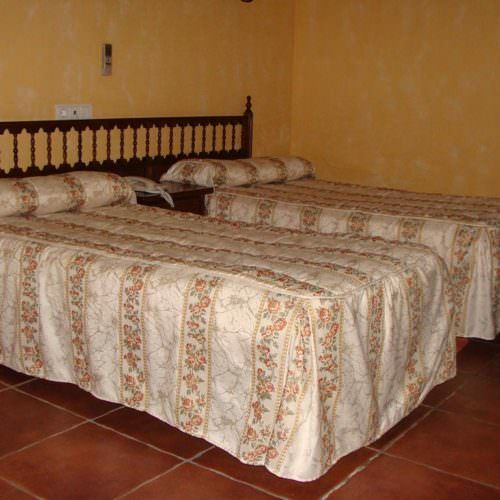 The rooms mostly have two beds which are made up separately but pushed together, so you can separate as you need. 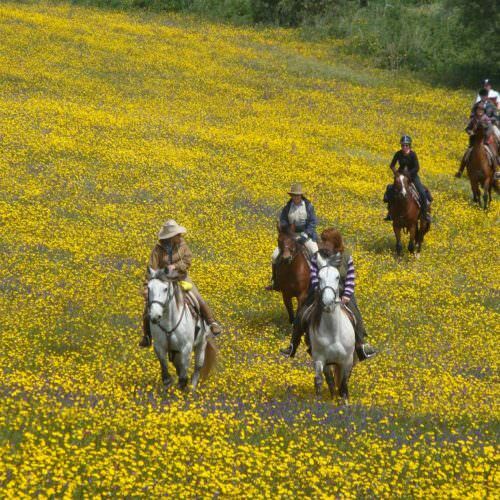 This ride runs on set dates in April / May when the flowers and landscape should be looking their best. 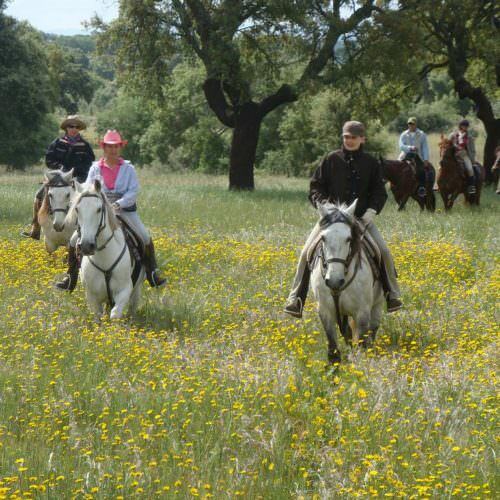 For other times of year please see the Dolphin and Alentejo Coastal Trails. 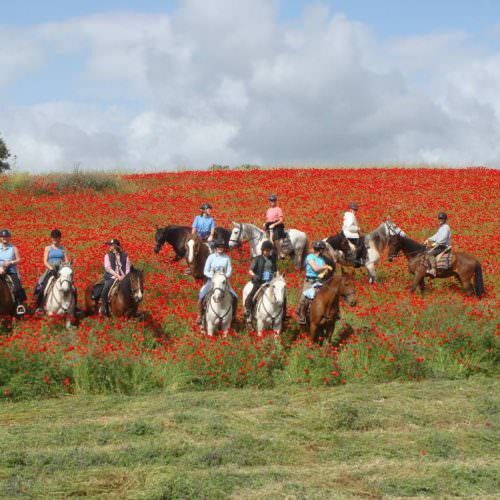 INCLUDES Accommodation; full board; wine with lunch; all riding; excursions as per itinerary; transfers (at set time) from Lisbon airport. 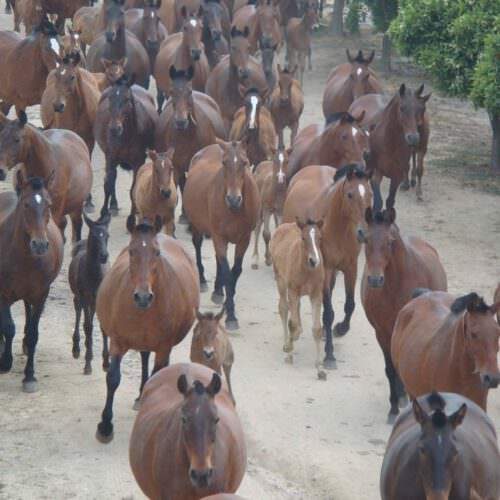 SINGLE SUPPLEMENT £512.09. 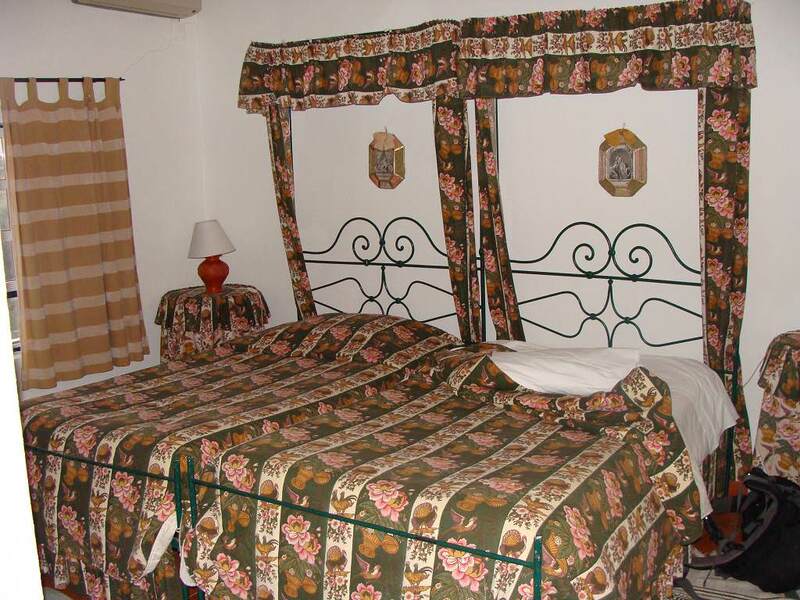 There are a very limited number of single rooms. 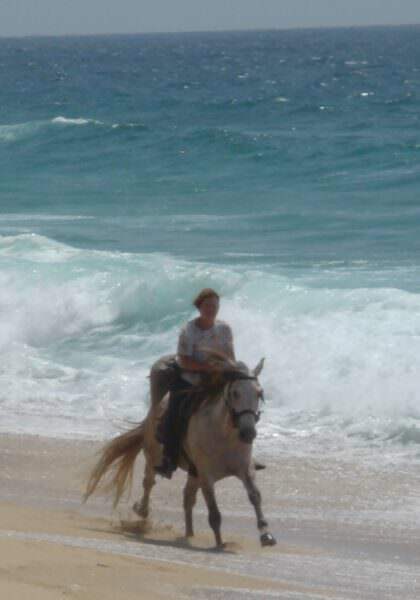 If you are willing to share and we find a sharer for you then no supplement is charged. 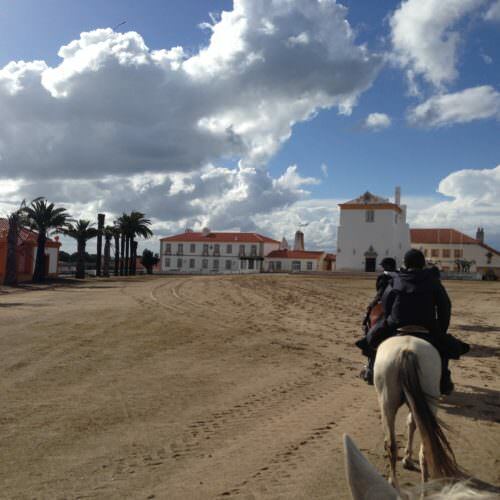 TRANSFERS Included at set times from Lisbon airport. 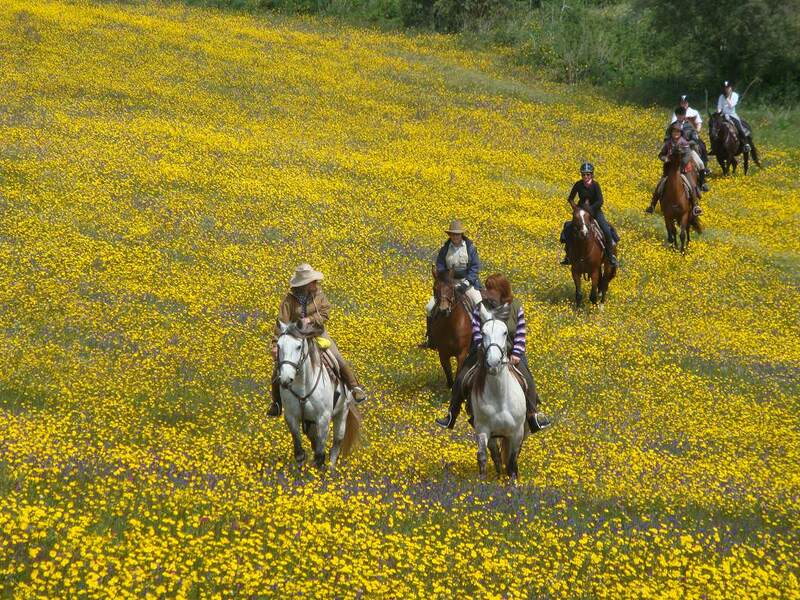 Riding through the spring flowers. 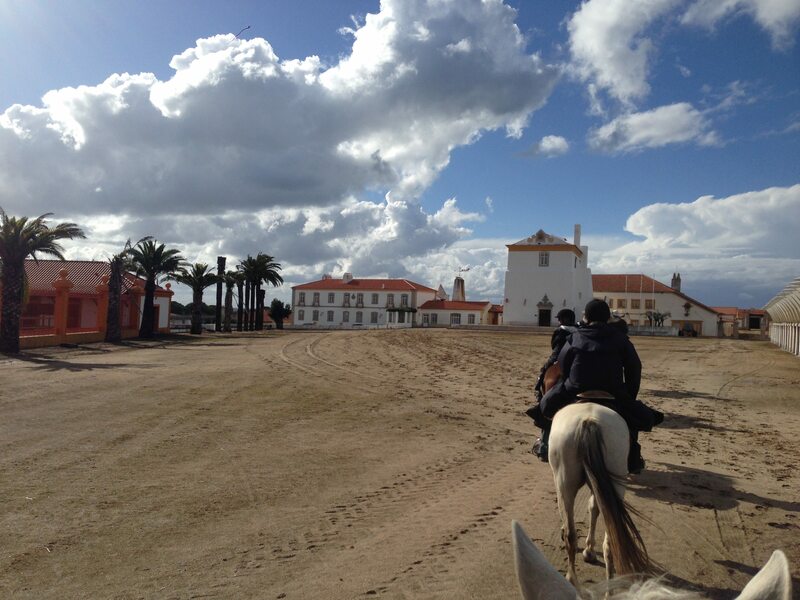 Enjoying the beautiful Alentejo countryside. 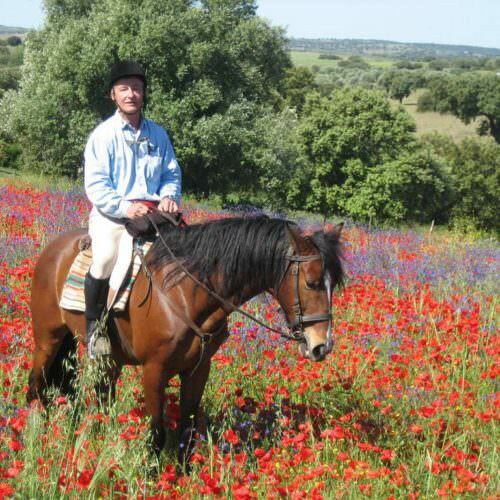 In The Saddle recommends to wear a hard hat. 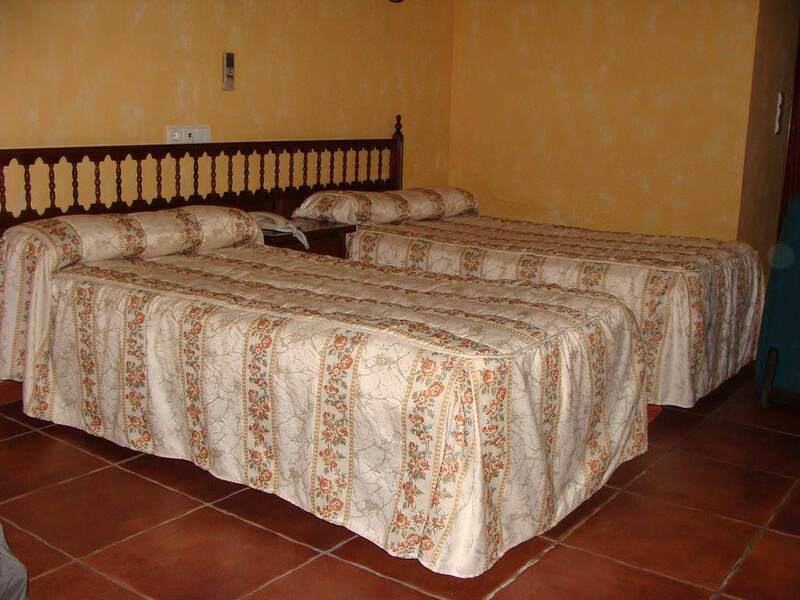 The group size is a maximum of 10 guests. 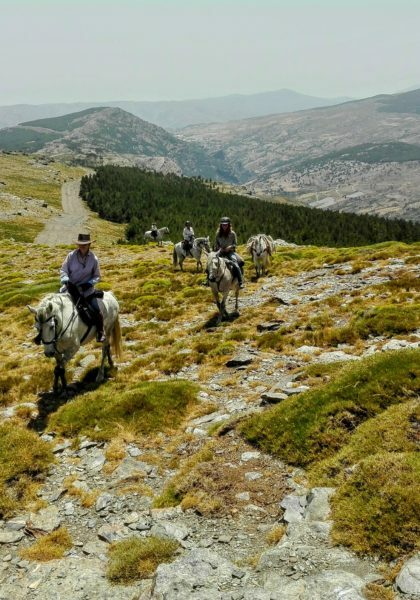 This trail is inland in the hottest, driest part of Portugal. 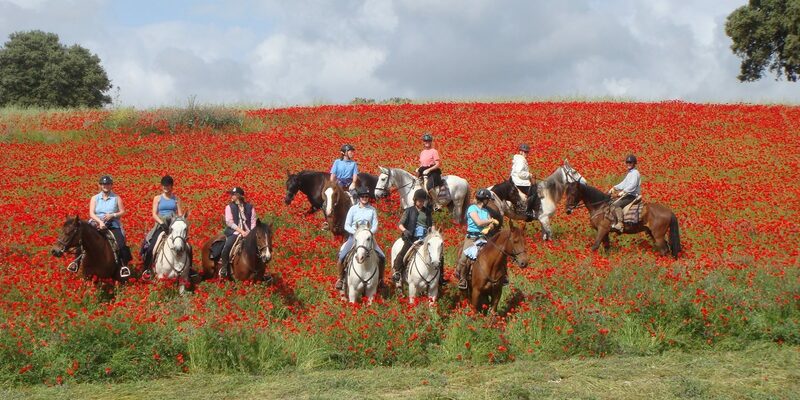 The colourful fields in spring. 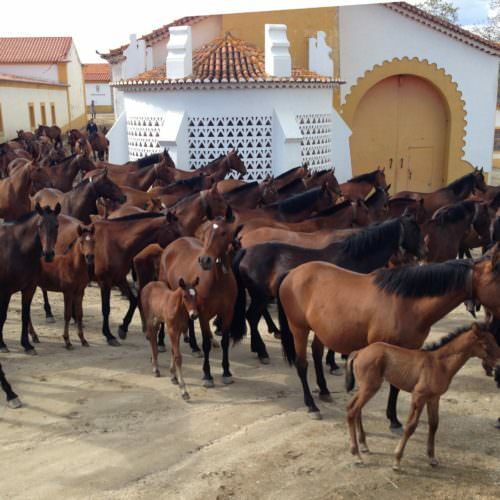 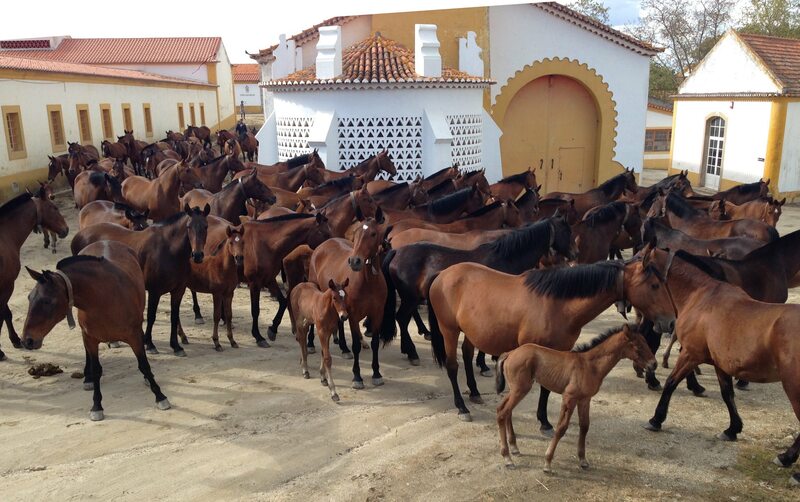 A group of Lusitano mares and foals. 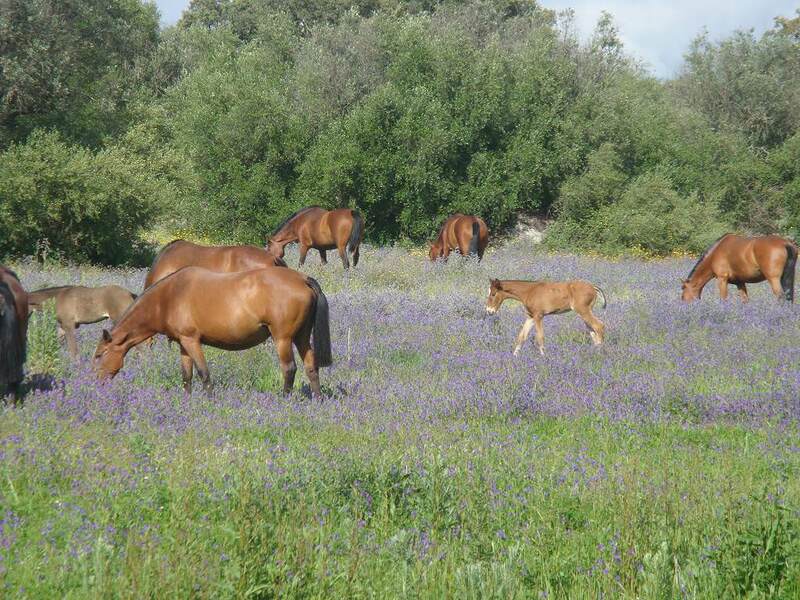 Lusitano mares and foals grazing. 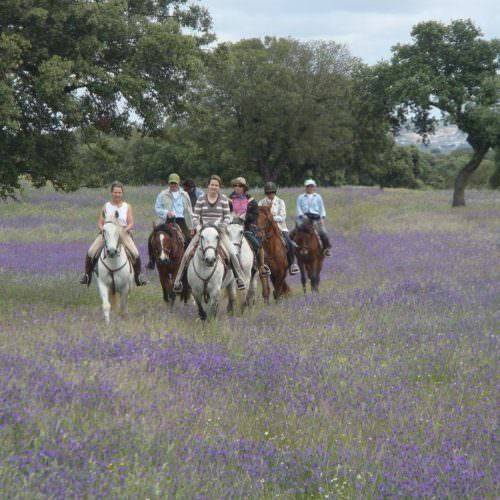 The terrain changes from forests to vineyards to wheat fields. 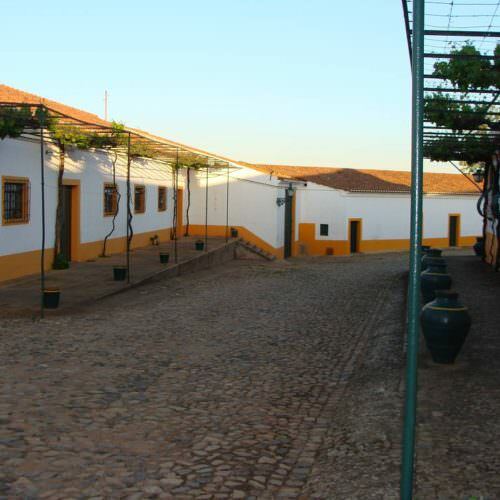 In the Alentejo region of Portugal east of Lisbon. 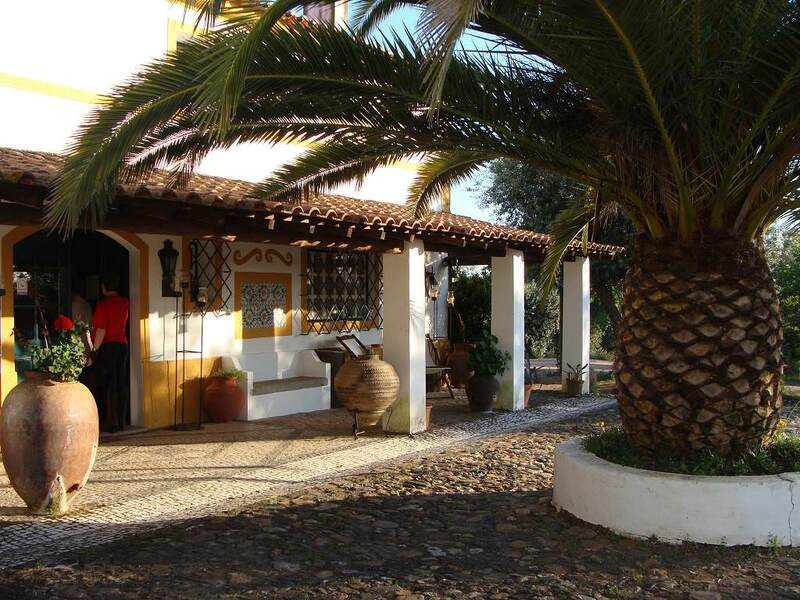 Nearest airport is Lisbon. 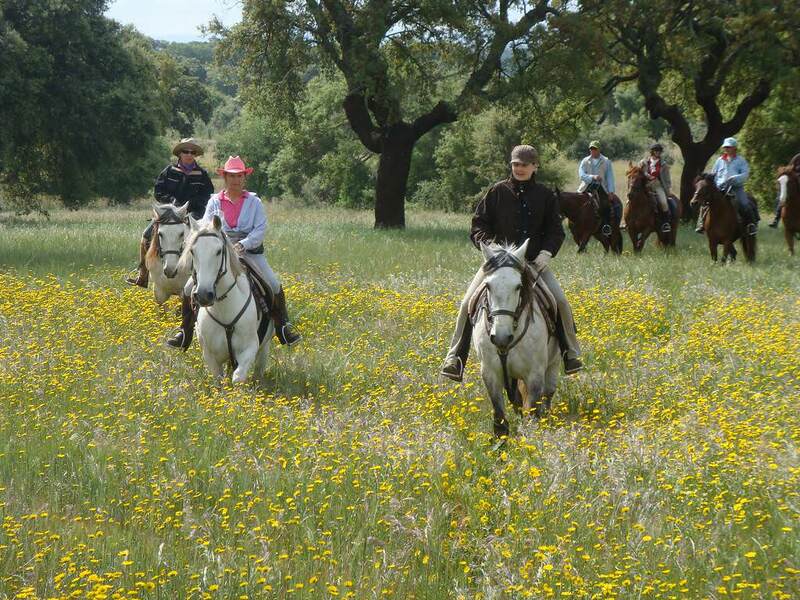 Warm and pleasant during the spring months when the ride takes place. 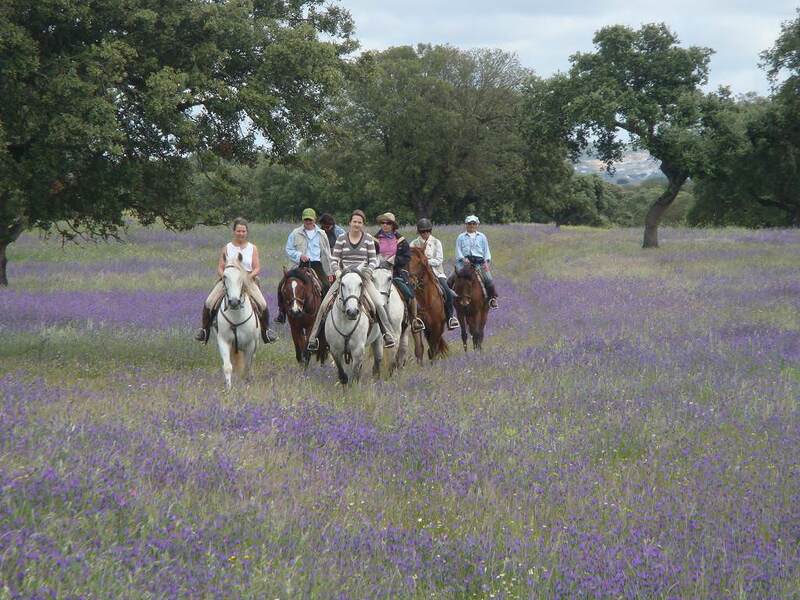 This fantastic spring ride on wonderful Lusitano horses will see you riding through fields filled with yellow red and purple flowers. 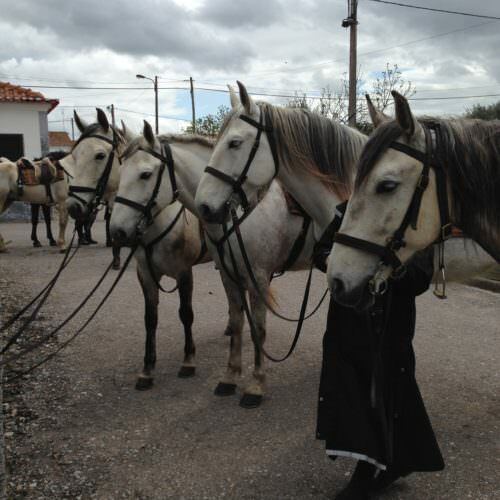 Try to make time to read up a little about the history of the Lusitano horse and the Alter Real stud in Portugal so that you can fully appreciate both your horse and the visit to the stud.